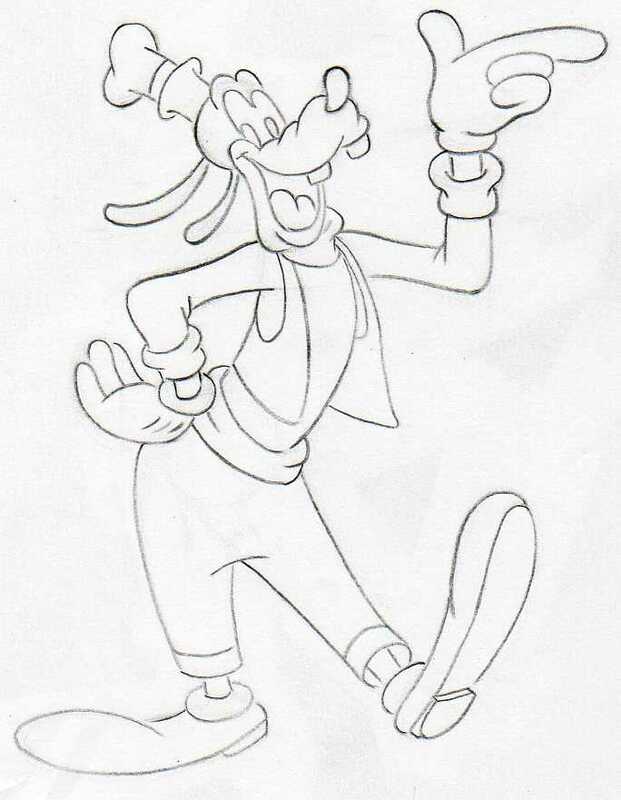 Today we'll learn how to draw Goofy. This funny and clumsy looking doggie is a very good friend of Mickey Mouse and Donald Duck. Did you know that Goofy was born - was created in 1932. Always wearing a turtle neck, black vest, white gloves and funny green hut. Always looking funny and clumsy yet Goofy is also a naturally very clever Disney Character. 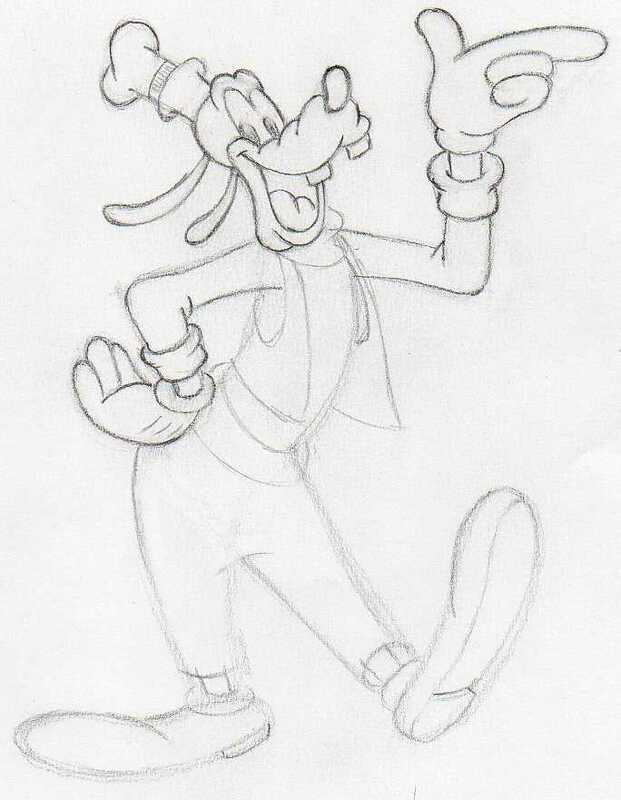 So it would be cool to know how to draw Goofy too. I was not sure which pose I should chose to make the easiest lesson. Most of Goofy poses look seemingly a bit complicated. But, soon you'll see that even the "complicated" body postures are very easily draw-able. 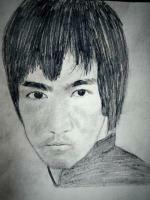 Observe the finished picture well and imagine if you do not have this how to draw Goofy tutorial, how would you begin to sketch the first strokes. 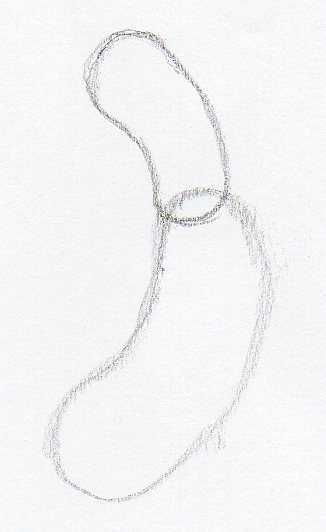 Sketch two peanuts-looking "noodles" as you see on the picture. Upper "noodle" is Goofy's head and the lower is Goofy's belly. 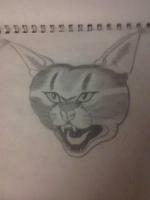 Sketch two legs in similar fashion as you see on the picture. This will determine Goofy's pose. Let's sketch other body parts. I would recommend you to do it in the following sequence. If you chose to sketch these parts differently, OK, no problem. The only thing you should be careful is the proportional balance. 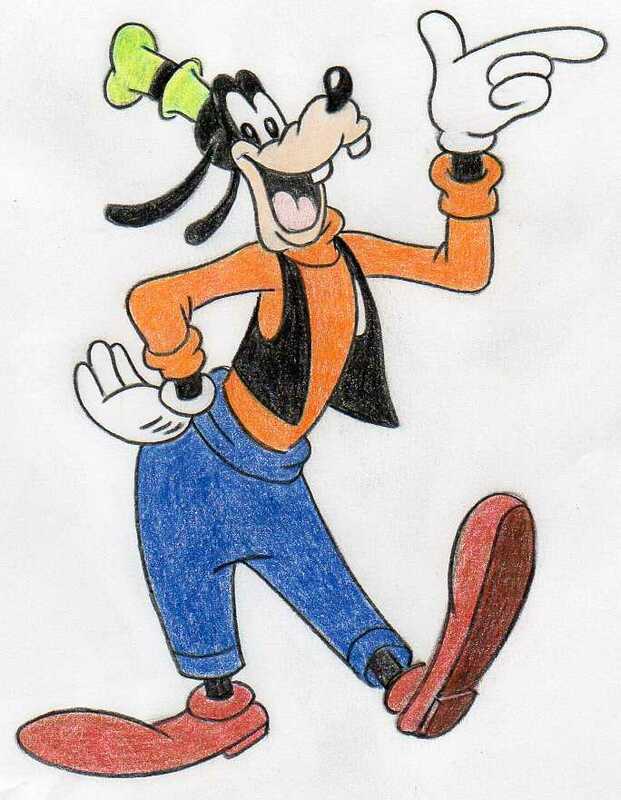 You see that how to draw Goofy is really easy. This was probably one of the hardest step, which is to determine the right balance of all Goofy's body parts. 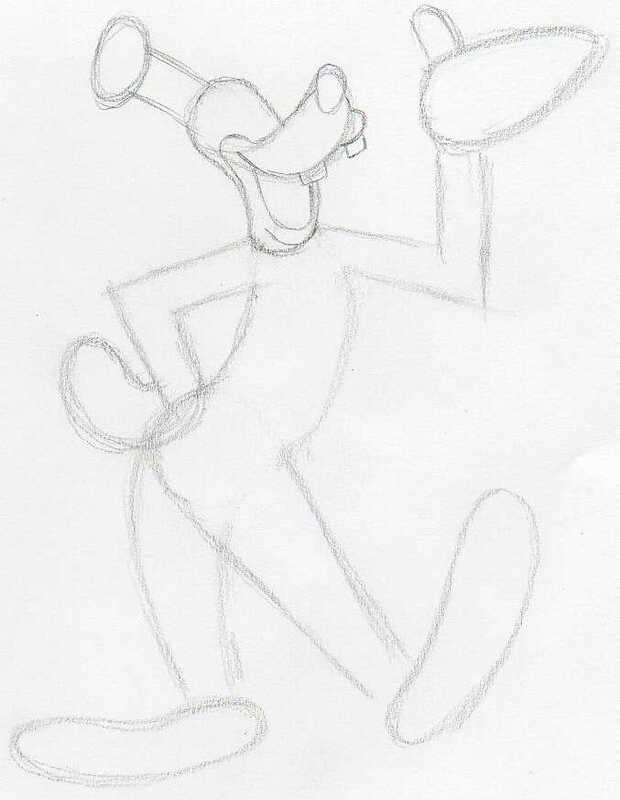 Begin outlining Goofy's face features. Observe the picture and make it in similar fashion. 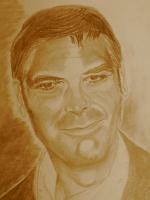 You can also erase some initial pencil guidelines under the neck and on the belly. Continue outlining other body parts as you see on the picture. 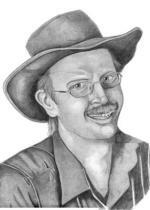 If possible do it from the top to bottom in order to have a good and clear overview. As you draw more and more details, keep on erasing the initial pencil sketch lines as necessary. Finish outlining all contours and body silhouettes so that you can get an almost clean image. A pen-shaped-eraser would come very handy now because you still have to erase the graphite pencil dust around the body contours. With this manual you can learn how to draw Goofy very simply and easily. 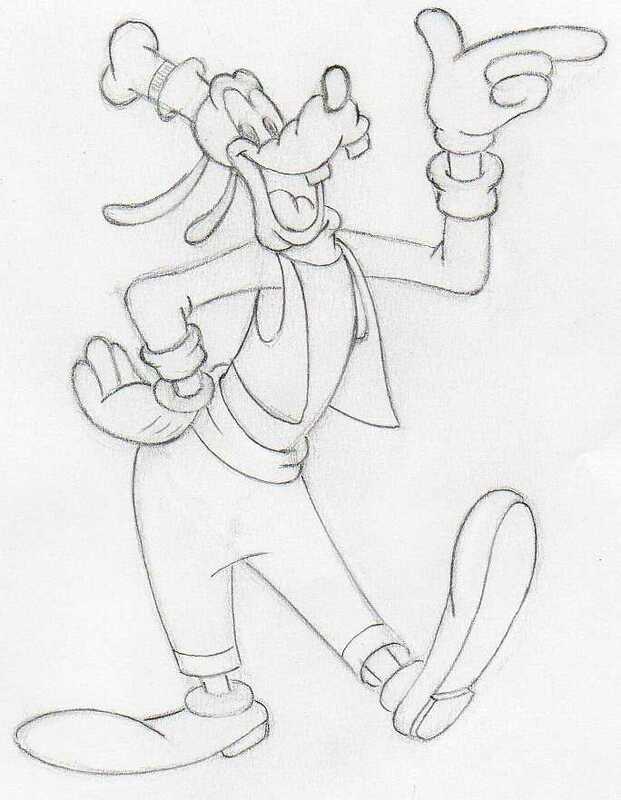 After erasing all graphite pencil dust, you will have a crisp clean image of Goofy as you see on this picture. This is will be your Goofy coloring page. Prepare your color pencils and begin coloring each body part as you see on this picture. 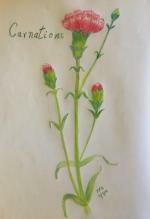 First, apply only a very light layer of color and then gradually add more darker color tone as necessary. As you are finishing the coloring, making final touches etc., make sure that all body contours and silhouettes are outlined by black color pencil (not graphite pencil). Congratulations! 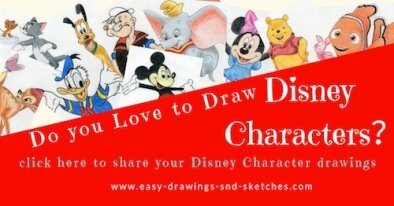 You've learned how to draw Goofy! Now, you can re-draw the whole process from the beginning, but this time without watching the tutorial.